There are different reasons why students and parents may see the School Counselors at Brown. 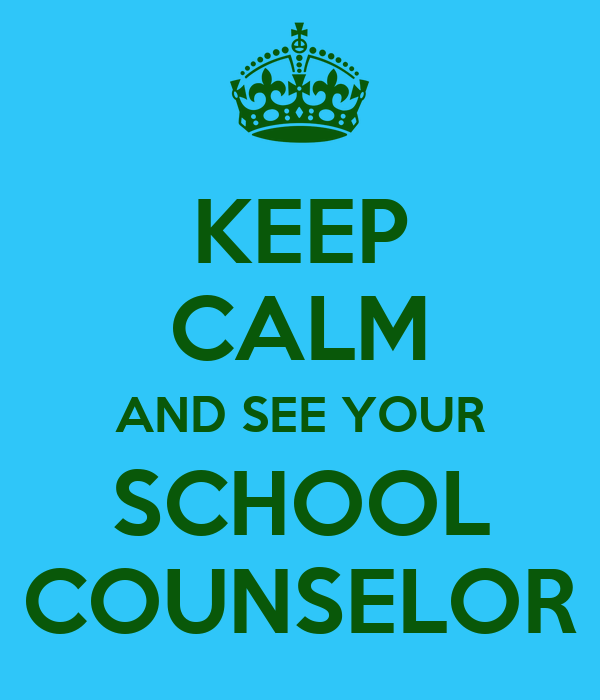 Students visit with the school counselor in three main ways: individually, in a group, or during a classroom lesson. Click the links below to see answers to some of the most common questions students ask about seeing the School Counselor. Why and How Do Students See a School Counselor? Why & How Do Parents Contact the School Counselor? Possesses a state-certification in School Counseling and a Master’s degree. Is integral to the total educational program by promoting and enhancing the learning process for ALL students. Who can refer someone to the School Counselor? What if I want to talk to the School Counselor? How do I set up a meeting? Both Miss Hayes and Mrs. Kilian are great people to come talk to if you’re having problems with school, friends, family, or anything else! If you do come to talk to one of us, we promise to be good listeners. You can stop by our offices if you would like to see one of us. Our rooms are located in the Main Office (Mrs. Hayes's office is right across from Mrs. Beckwith's desk; Mrs. Kilian's office is across from Mrs. Sawicki's desk in the Attendance Office). Together we'll figure out a good time for us to meet (usually during study hall or lunch). If your counselor is not there or if we are talking to another student, you can leave either of us a note, so we know to get in touch with you. If I get a pass to see my School Counselor, does it mean I'm in trouble? Nope! You are definitely NOT in trouble! It just means that we want to get to know you better. Middle school can be really hard, and we are here to make sure every student at Brown School feels comfortable, safe, and successful. School Counselors teach classroom lessons? A big part of our job is teaching fun, creative and exciting lessons to Health classes and sometimes we'll come and teach in core classes as well. Some of the topics we will cover are student success planners, career exploration, goal setting, friendship, organization, accepting differences, conflict resolution and bullying/harassment. Information students share with their School Counselor is confidential meaning we do not share that information with anyone else. Mrs. Kilian and Miss Hayes make every effort to follow the counseling guidelines established in the American School Counselor Association Code of Ethics. However, School Counselors are obligated to break confidentiality if we believe students are at risk of harming themselves or others, if we believe students are at risk of being harmed or if a law is broken. How do parents contact a School Counselor? The Brown School Counselors can be reached via phone or email. To reach Miss Hayes directly by phone, please call (203)245-6419. To reach Mrs. Kilian directly by phone, please call (203)245-6421. Both counselors can also be reached by calling the main office at (203)245-6400. To send an email to Miss Hayes or Mrs. Kilian click on their email address below.